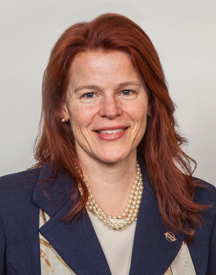 Ginger Juncker is executive director, councils and member programs for the OESA. In this role, Juncker oversees OESA’s peer group councils. As part of the council activities, she facilitates several councils and spearheads OESA’s initiative to assist member companies in retaining high-potential employees. She also serves as project lead on many OESA events and coordinates the engagement of students into OESA activities. Juncker has over 25 years of experience in project management and organizational development in the automotive sector. Juncker holds a master of science in interdisciplinary engineering from Purdue University, a master of business administration from the University of Michigan-Dearborn, and a bachelor of science in engineering from Michigan State University. She also served as treasurer for the Township of Novi from 2004 through 2016.